During the time Burr was searching through bookshops, he was on the upward arc of his political fame. He was serving as a U.S. Senator when he took time out of his day to search for the perfect book for his brilliant daughter. “Dear Theodosia” is a short song, and the song following it is much more of a downer . In “Tomorrow They’ll Be More of Us,” Hamilton learns of the death of one of his closest companions, John Laurens. Still coming off the high of singing about his son, Hamilton doesn’t realize that a letter from Laurens is actually from Henry Laurens, John’s father. Eliza alerts Alexander to this fact, and he asks her to read it. In between the Hamilton’s conversation, John Laurens softly sings parts of “The Story of Tonight,” including the line, “and when our children tell our story.” John did have a daughter, Frances Eleanor, who was born in February 1777, and who would live long enough to tell his story. The letter read by Eliza is not from any real letter. In fact, Henry Laurens was in England working on a peace deal to end the war at the time of his son’s death. He did not return to the U.S. until the summer of 1784. The first known letter he wrote to Hamilton after John’s death was on April 19, 1785. The letter in the musical reads, in part, that John “was killed in a gunfight against British troops retreating from South Carolina. The war was already over.” The first part is true. Laurens died on August 27, 1782. The war was not yet over, although it was close; the Americans expected the British would evacuate Charleston at any moment, freeing South Carolina from the grip of the British military. In the meantime, the British soldiers in Charleston had been making raids into the countryside in order to obtain food for themselves. Laurens and about fifty men in advance of the main American force, fell in with hundreds of British soldiers at the Combahee River. Lieutenant-Colonel Laurens was killed in the ensuing battle; twenty-six other men were killed, wounded, or missing. The British eventually retreated. 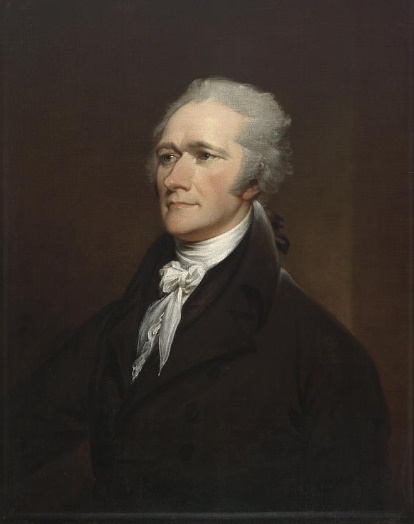 We can only imagine, then, Hamilton’s thoughts upon learning of the death of his good friend, a man who he thought would be at his side once independence was won, to fight with him to ensure the ideals of the revolution were brought to reality. In the next part of this series, covering the final song of the first act of the musical, we leave the sadness of this song to find Hamilton carrying out the work he thought he would be doing with Laurens. Charles F. Pidgin wrote about her life in Theodosia, the first gentlewoman of her time. See note number nine at this link. Pennsylvania Packet, October 3, 1782. “Extract of a Letter Dated Camp, Ashley-Hill, South-Carolina, August 30, 1782,” p3 and Pennsylvania Journal, or, Weekly Advertiser, October 5, 1782. “Extract of a letter from South Carolina, dated Camp, August 29, 1782,” p3. Also, a “Sketch of the Character of Col. John Laurens, Who Fell Gloriously in the Defence of His Country, August 27, 1782” was printed in Freeman’s Journal; or, the North-American Intelligencer, Nov. 6, 1782, p1. Next Humanity Faces Competition of Attention Span with….a Goldfish.